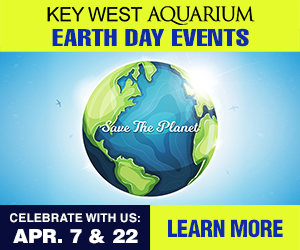 There are many great ways to see Key West. Because of the narrow streets and challenges finding parking, we suggest driving a car your last resort. 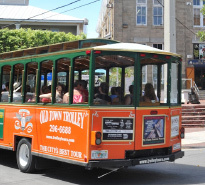 The best way around the island is aboard Old Town Trolley Tours. They offer a 2-Day ticket with unlimited hop on, hop off privileges at 12 stops conveniently located across the island. The city of Key West also offers a public bus service, but lacks the historic and entertaining environment of a narrated sightseeing tour. There are also bicycle, scooter, and small electric car rentals available in Old Town if you’re interested in being the leader of a sightseeing adventure. Pedicabs are another fun alternative to getting around Key West. With the narrow streets of Old Town, Key West by bike is great way to see the island. Parking is never a problem and bikes is the way enjoy the laid back island lifestyle Key West is so well known for. The islands’ bike shops offer a large variety of bicycles for all ages and fitness levels. A fun way to zip around the island is on a scooter. Single or double seaters are available and make getting around the island a snap. At only 2 x 4 miles, why not navigate the narrow streets in a zippy electric car? Kind to the environment and easy to drive, electric cars are open air and a great way to cruise to the beach, down Duval or exploring Old Town. All major car rental agencies have offices in Key West and can be found at the airport, New Town and Old Town. Whether you want the wind through your hair with a convertible, or something small to get around the narrow streets of Old Town, finding a car for your needs and budget is a breeze.